Shaped notes allows singers to keep time without accompaniment. 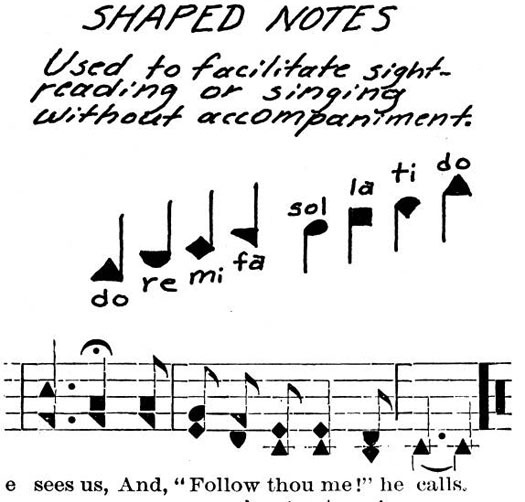 Shaped-note singing is an American tradition of hymn-singing that endures today in churches and annual singing schools and conventions. The style began in New England in the 18th century and made its way to the Southern states where it enjoyed popularity through the mid-19th century. Fans of the style, as well as newcomers to the method, will be treated to a concert and workshop by singers from Kingsport’s Tri-City Gospel Music Camp July 24 at 7 p.m. at Northeast State’s Wellmont Regional Center for the Performing Arts. The event is free and open to the public. Basically, shaped-notes allow for a simplified way to read music. Based on squares, ovals, diamonds, and triangles – the distinctive shapes of the notes instantly tell what pitch to sing. The style gained a great following in colonial times when many singers were musically untrained. The performing arts center is located at 2425 Highway 75, adjacent to the Tri-Cities Regional Airport. For more information, contact Jim Kelly at jpkelly@NortheastState.edu or 423.279.7669. The flavor is back, indeed! Northeast State goes en fuego on July 18 when the Frito Puente band brings their sizzling Latin jazz music to the stage for the College’s Hot Nights, Cool Music summer concert series. Local jazz aficionados are excited for the return of Frito Puente to stages around the region. Jazz musician Bill Perkins has reunited in Johnson City with his former band mates Sam Burke on bass and Jose Castillo on percussion. Perkins and Burke have played together in various jazz, blues, and rock groups for over 30 years. 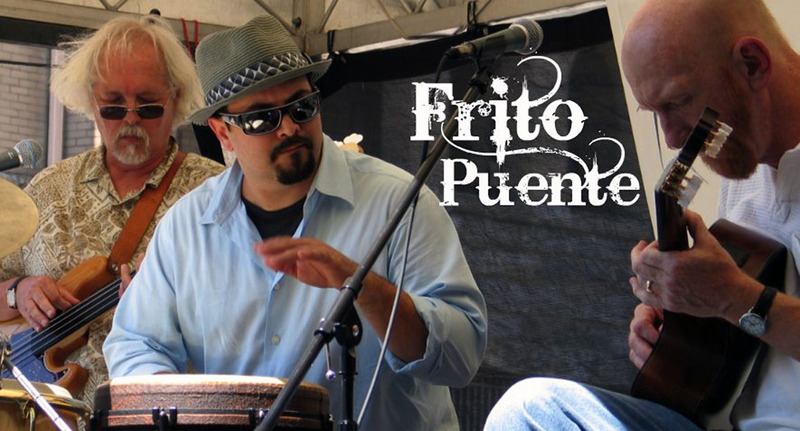 Frito Puente performs at 7 p.m. in the Regional Center for the Performing Arts Theater, located on the College’s main campus in Blountville, adjacent to the Tri-Cities Regional Airport. The concert is free and open to the public. Perkins has been playing guitar since 1971 and has appeared on stage in the United States, Germany, Malta, Brazil, and Mexico. In his extensive travels, Burke has played with symphonies, garage bands, power trios, R&B show bands, folk bands, lounge bands, and bar bands. Castillo joined the band 13 years ago. He has played trumpet, flugle horn, guitar, and percussion not anywhere close to as long as his band mates. Cast spearheads the Latin sound that has defined this latest rendition of this ensemble. Frito Puente’s style spans Latin-flavored artists like Santana, Antonio Carlos Jobim, and Chick Corea, jazz standards from Miles Davis, John Coltrane, and Thelonius Monk, and original compositions. Like any good jazz ensemble this core trio has had guest soloists, singers, and friends join them over the years. The Bill Perkins Quartet, Quintet, Trio and now known as Frito Puente, has performed at The Blue Plum Festival, Corazon Latino, and a wide variety of venues throughout the region. For more information about this or other events in the Hot Nights, Cool Music series, visit http://www.NortheastState.edu or contact jpkelly@NortheastState.edu. 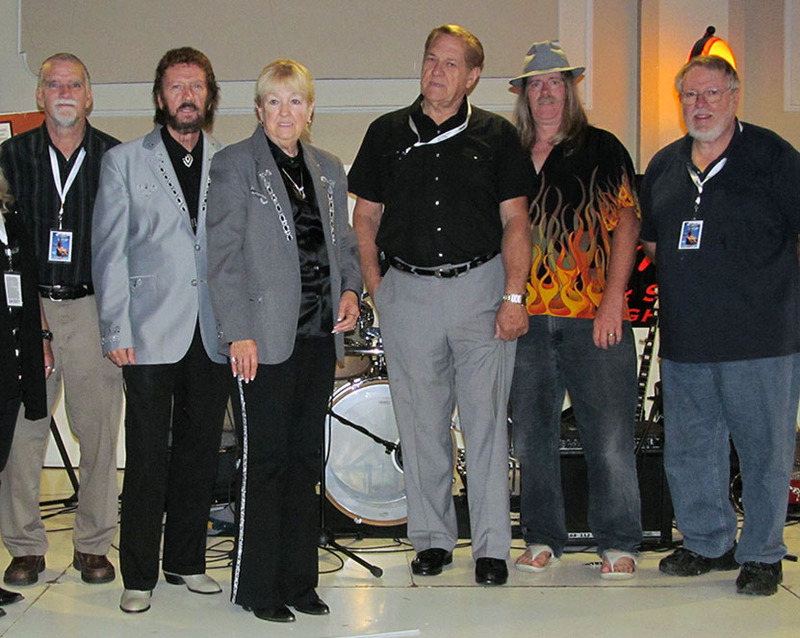 Classic country never sounded so good when the Rambling Rose band performs at Northeast State on Tuesday, July 15 as part of the “Hot Nights, Cool Music” summer concert series continuing through July. 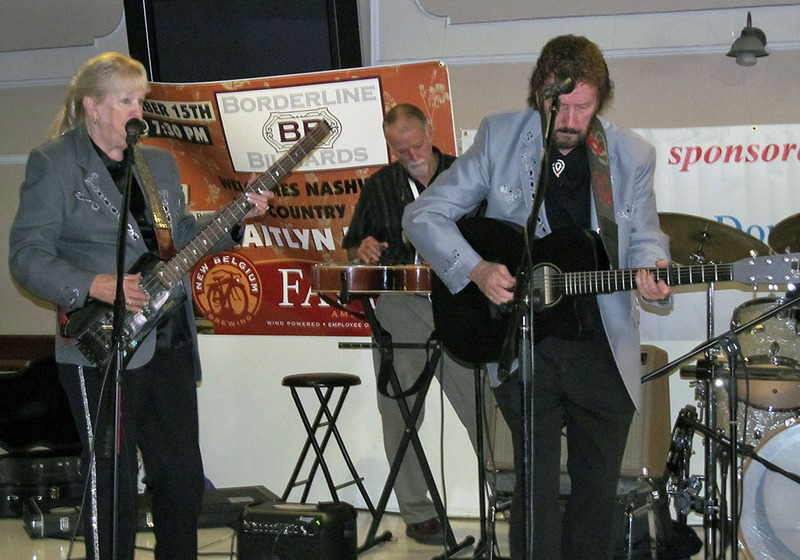 Rambling Rose plays traditional country music and bluegrass, gospel and an occasional rock and roll song. The band has been together for more than 35 years performing as fan favorites throughout the region. The legendary country sounds of Cash, Nelson, and Lynn among others get top-notch tribute from Rambling Rose. Doors open at 6:30 p.m. The performance begins at 7 p.m. at the Regional Center for the Performing Arts at the College’s main campus in Blountville next to Tri-Cities Regional Airport. The performance is free and open to the public. The Rambling Rose band features Earl Rose playing lead guitar and rhythm guitar, Ruthie Rose on vocals and bass, Norman May playing drums, Ted Cole on vocals and fiddle, Dennis Spangler on rhythm guitar and vocals, and Howard Bateman playing the Dobro guitar. Rambling Rose played Bristol’s wildly popular Rhythm and Roots Reunion music festival numerous times. Rambling Rose performs July 15 at the RCPA Theater. Earl Rose’s his love of music started as a child listening to the Grand Old Opry show. His father played banjo which led him to begin playing music at an early age. He later formed Rambling Rose playing with many of the same musical artists for more than 30 years. With an artistic legacy born in the blood, Earl Rose also teaches art and paints landscapes and portraits. For more information about the summer concerts visit http://www.northeaststate.edu or contact 423.354.5169.